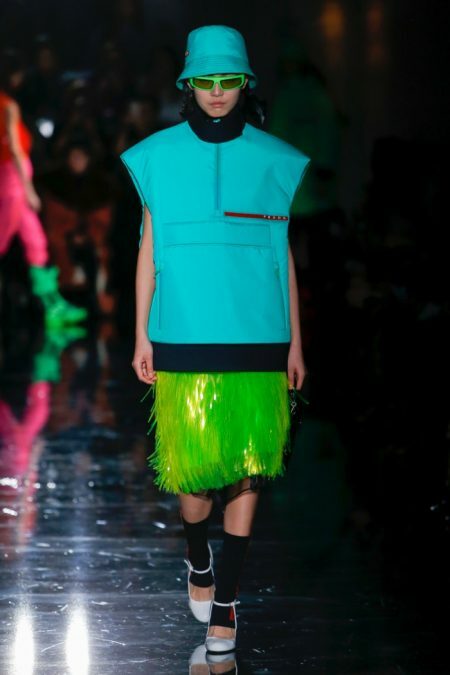 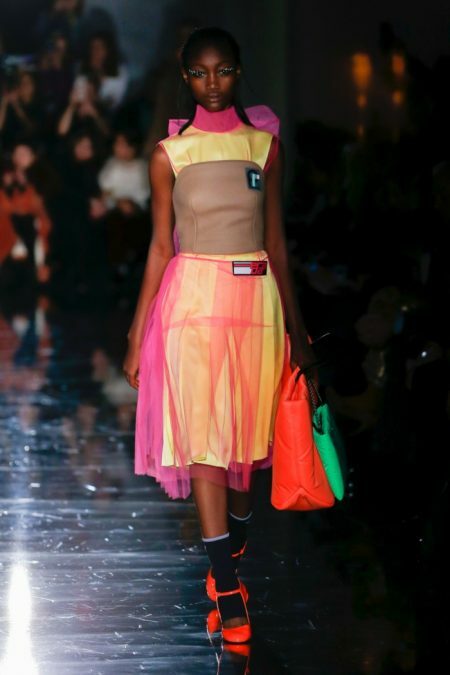 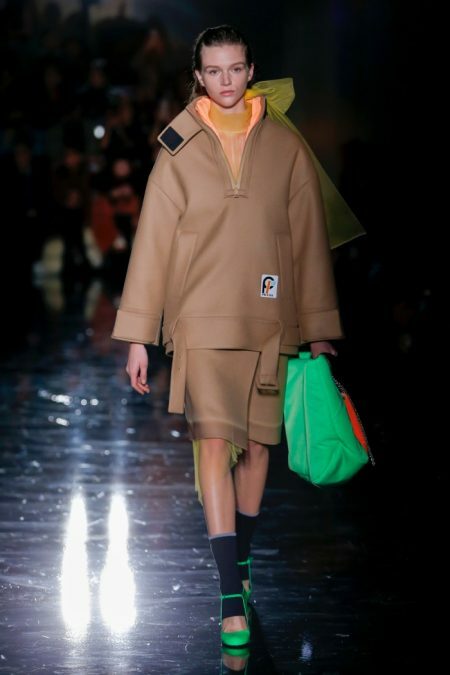 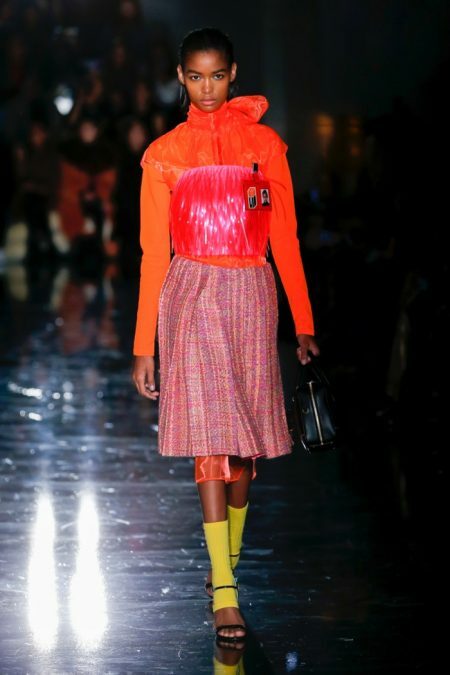 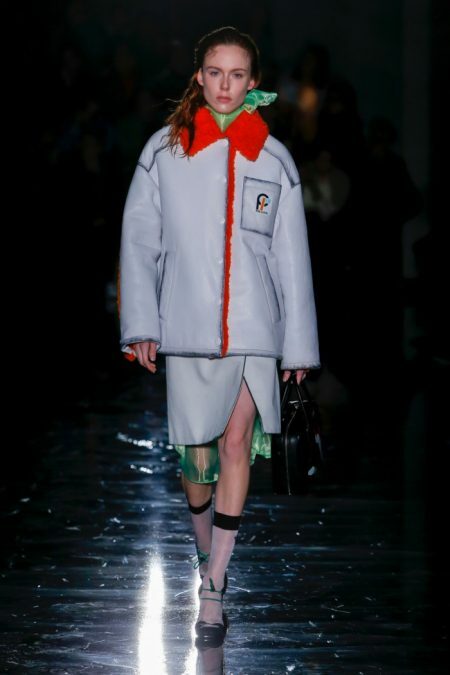 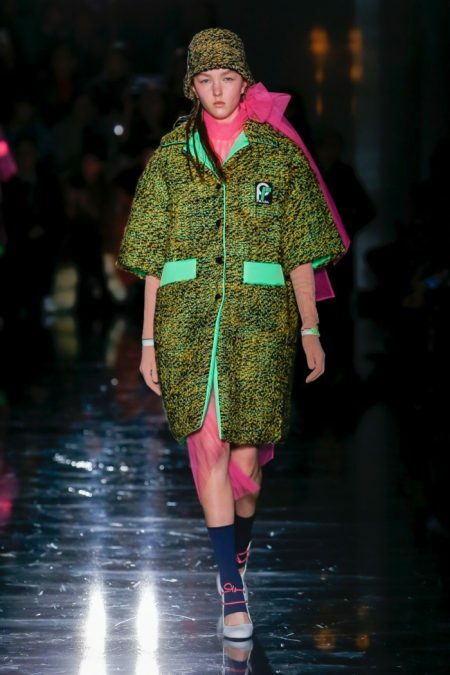 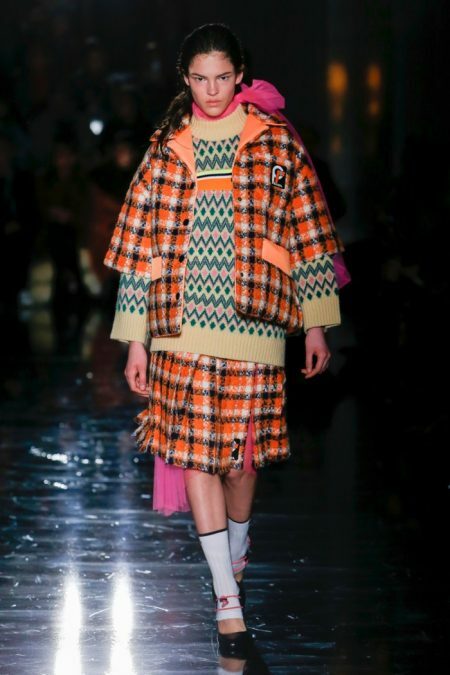 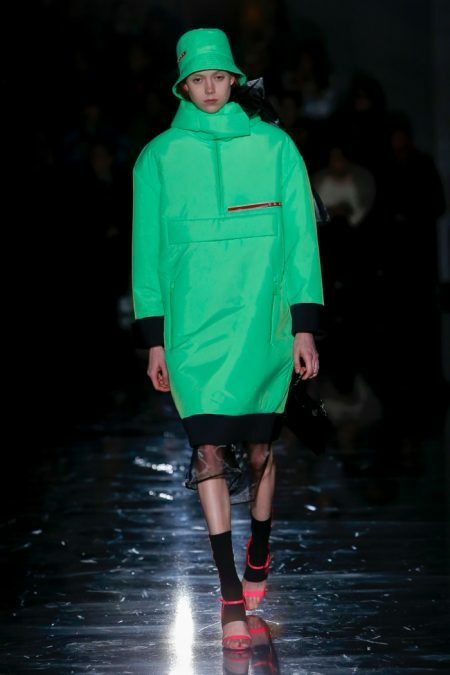 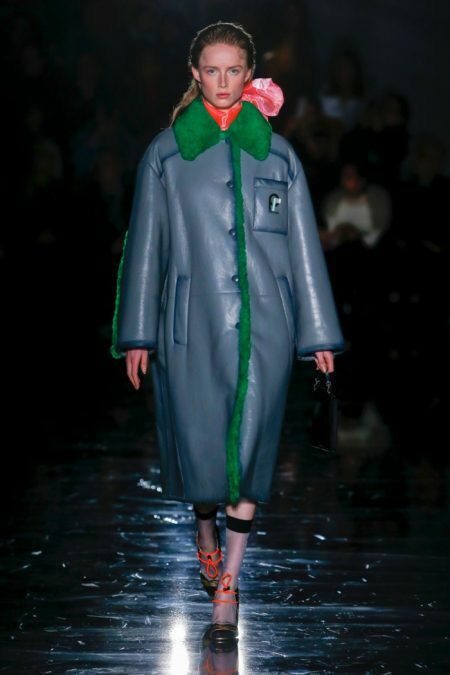 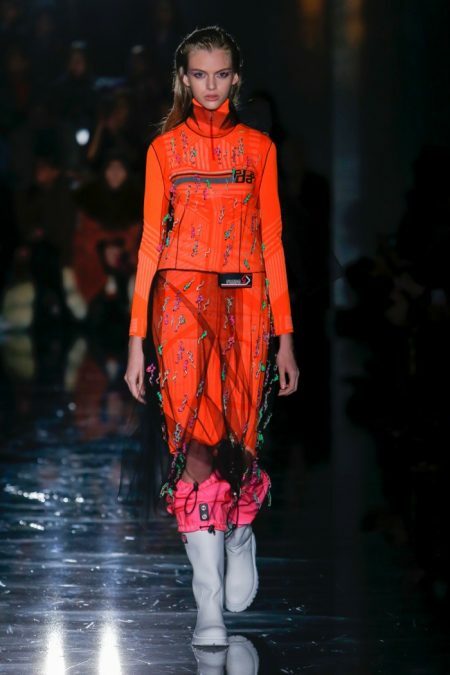 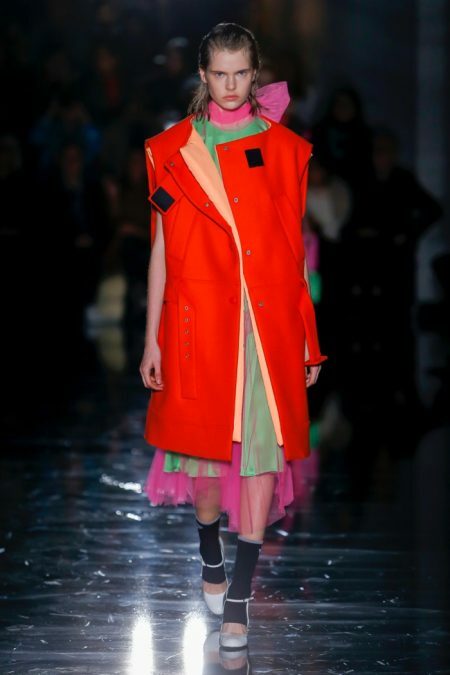 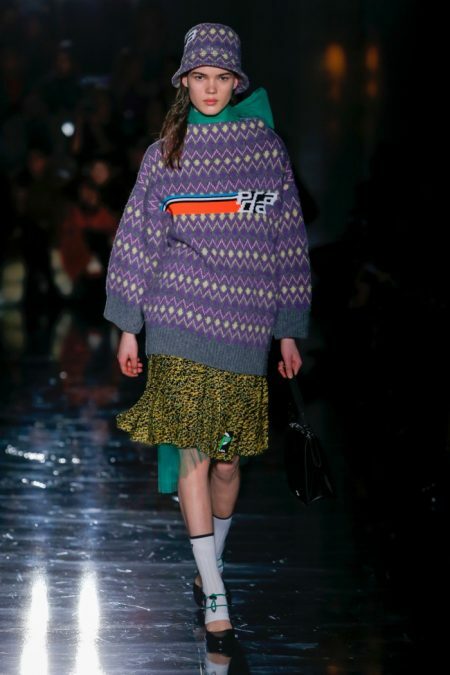 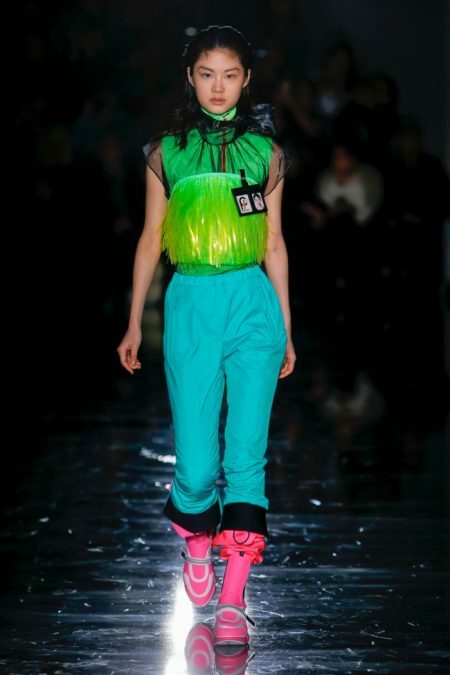 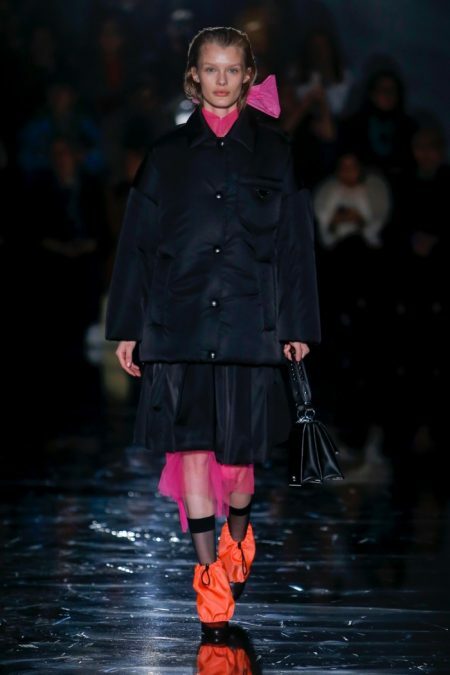 Prada brings bold neon hues to the forefront for its fall-winter 2018 collection presented during Milan Fashion Week. 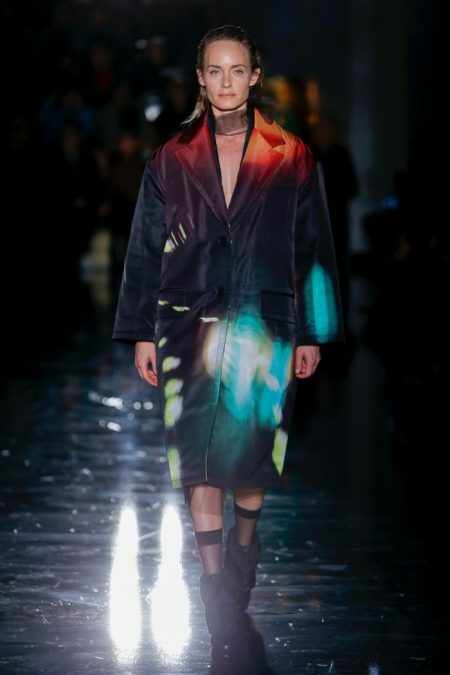 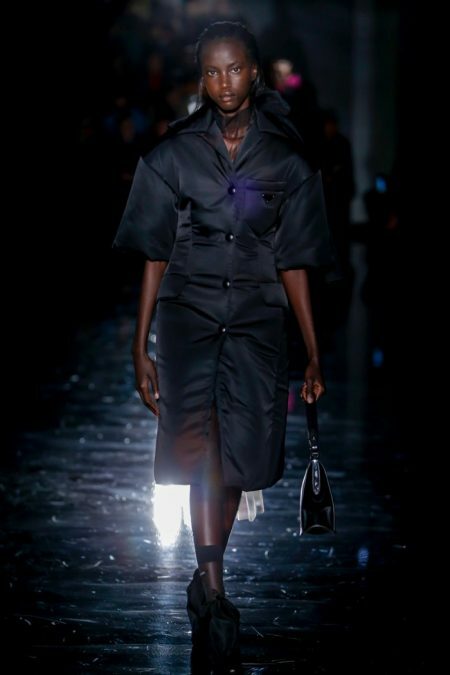 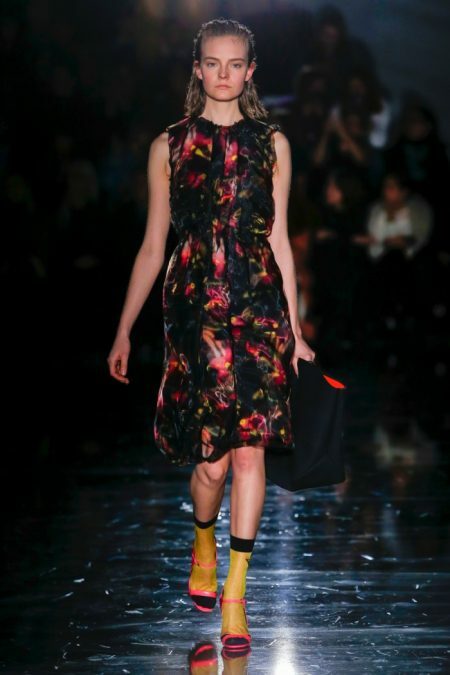 Designer Miuccia Prada looked to the night for inspiration, with jet black looks juxtaposed against a vibrant palette. 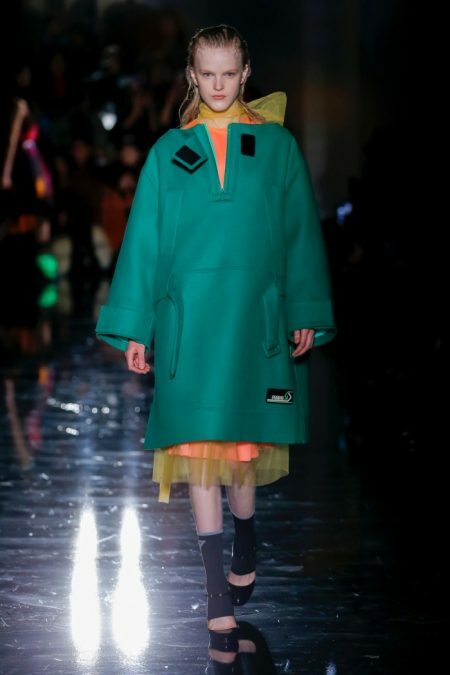 Oversized coats paired with ladylike dresses and sheer, tulle layering created ladylike ensembles. 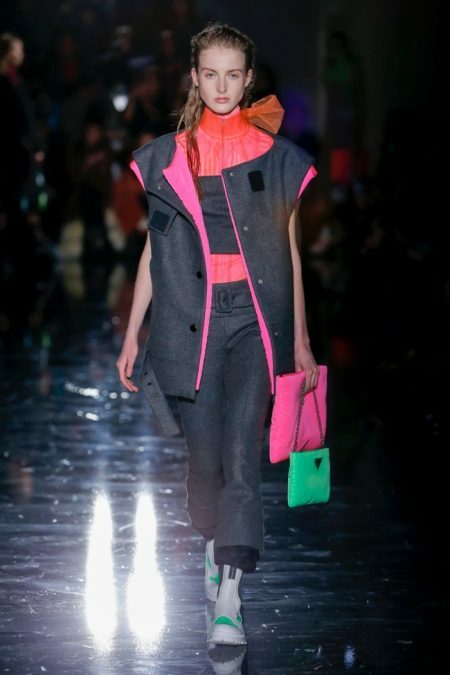 The color palette includes green, pink, orange, green and yellow hues. 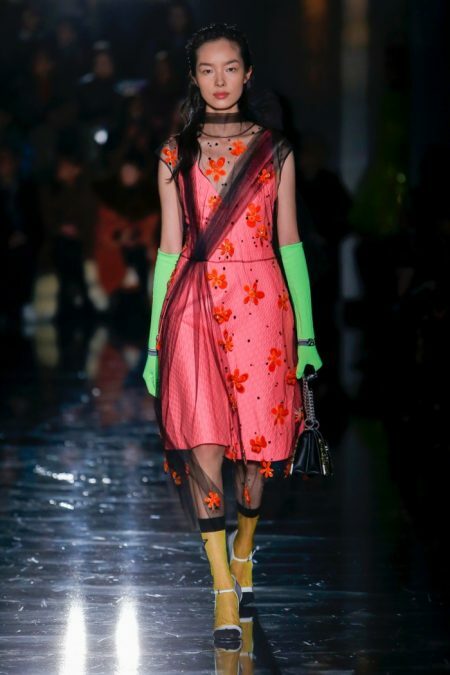 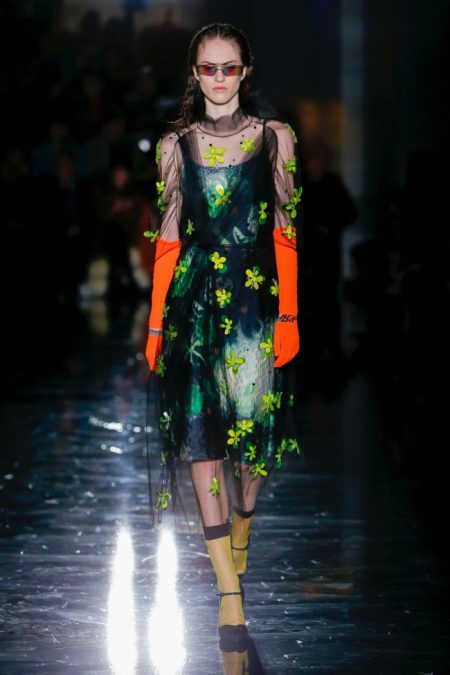 For cocktail hour, Prada offers fit and flare dresses with floral overlays. 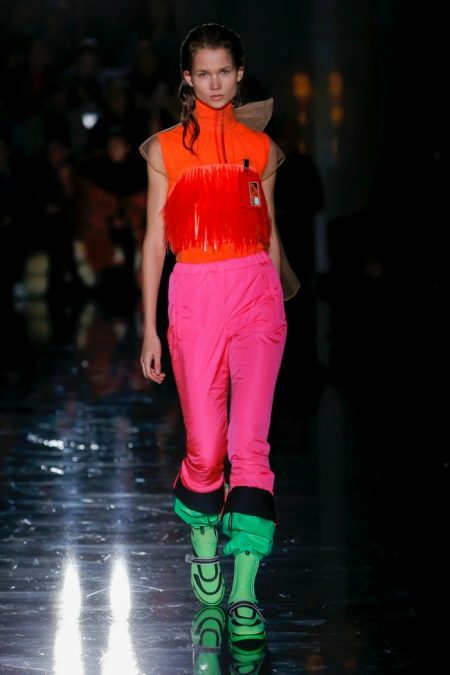 When the temperatures drop, bold knits or sleeveless vests channel sporty vibes. 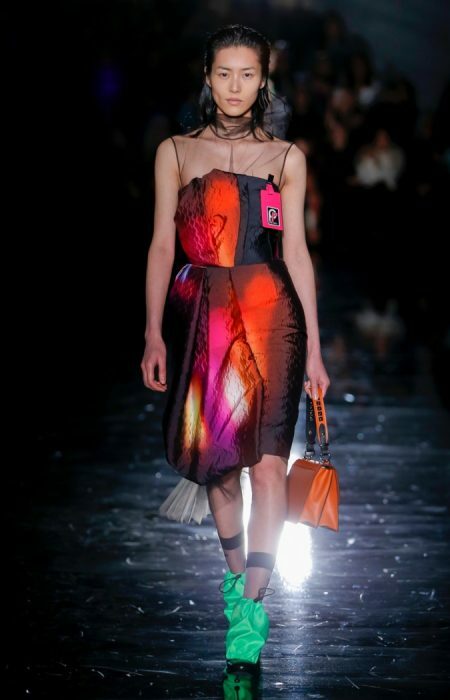 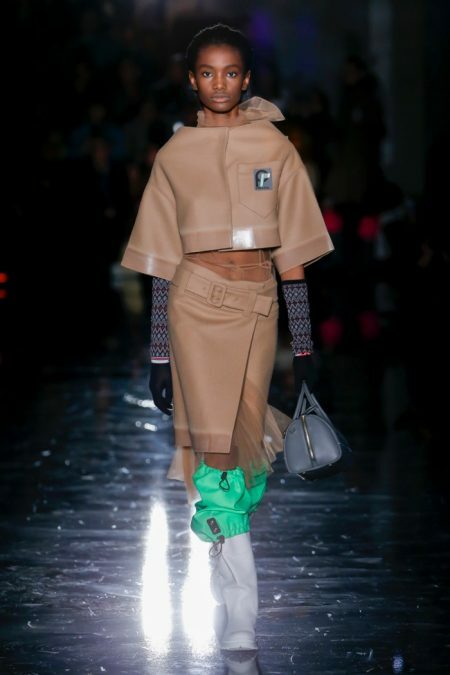 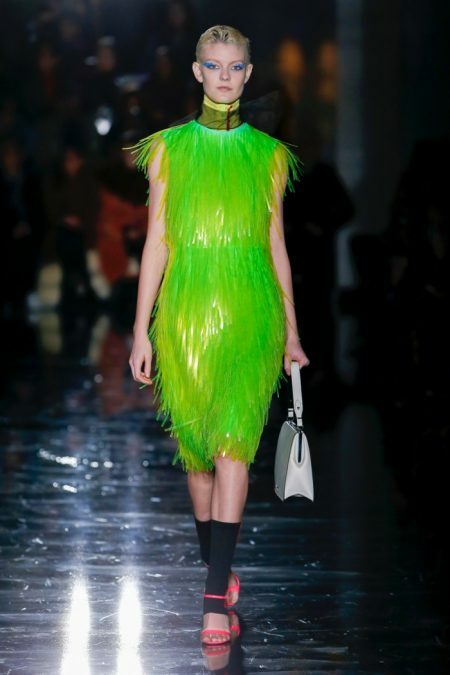 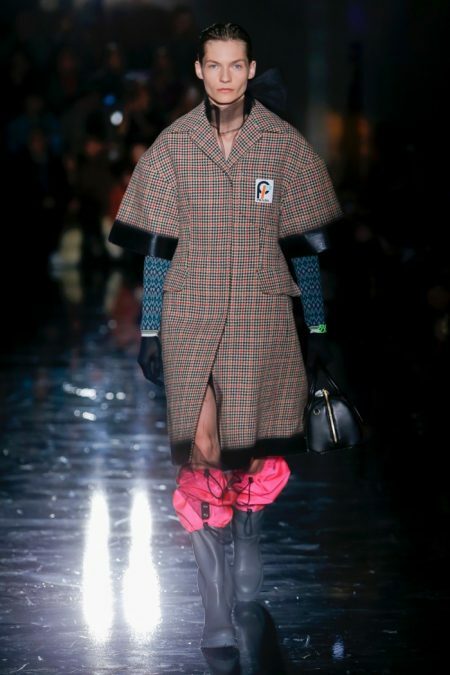 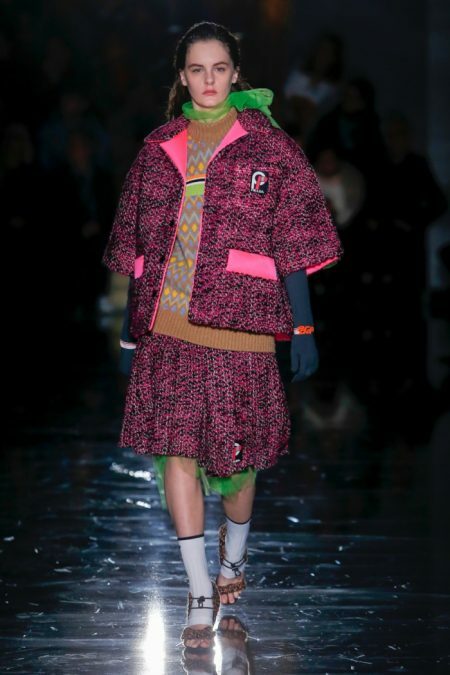 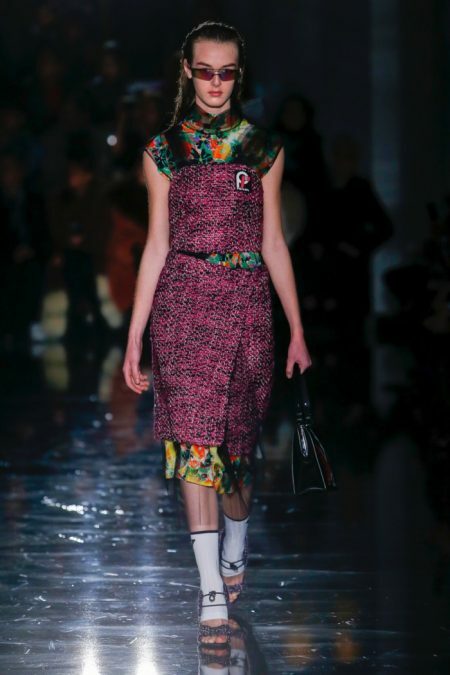 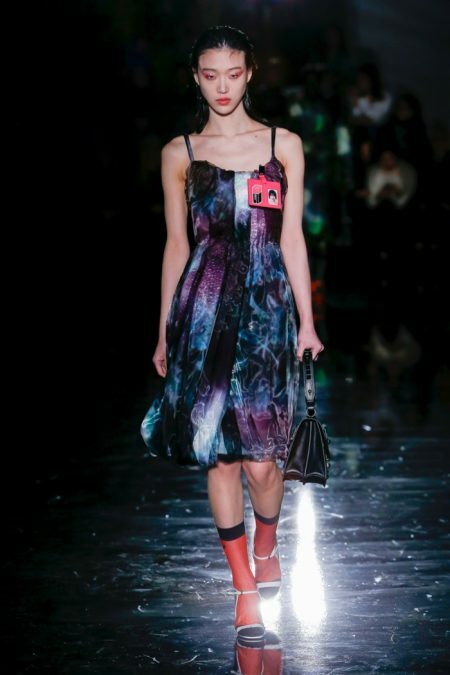 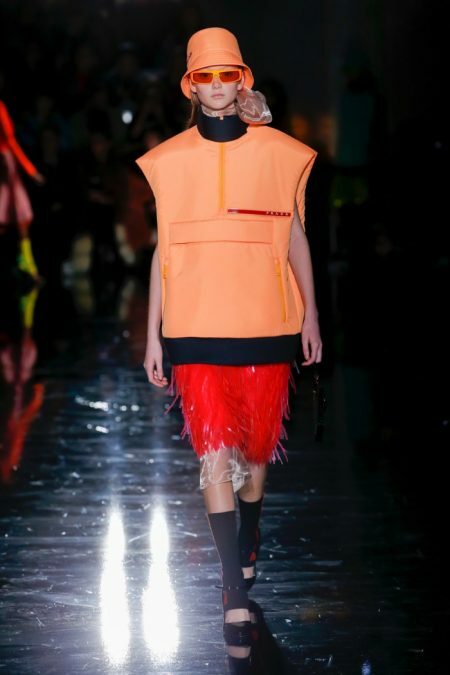 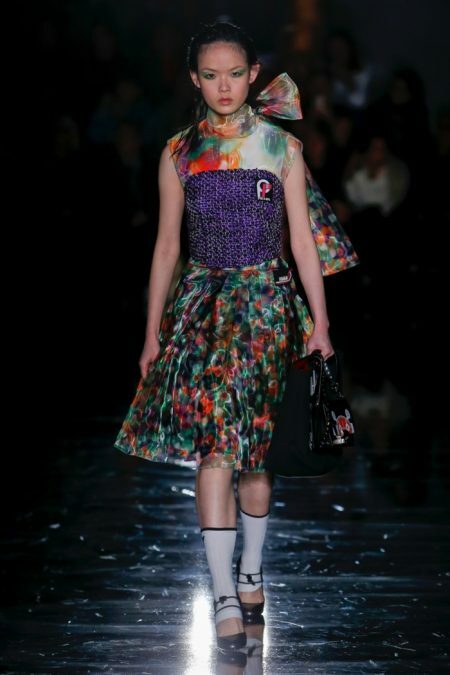 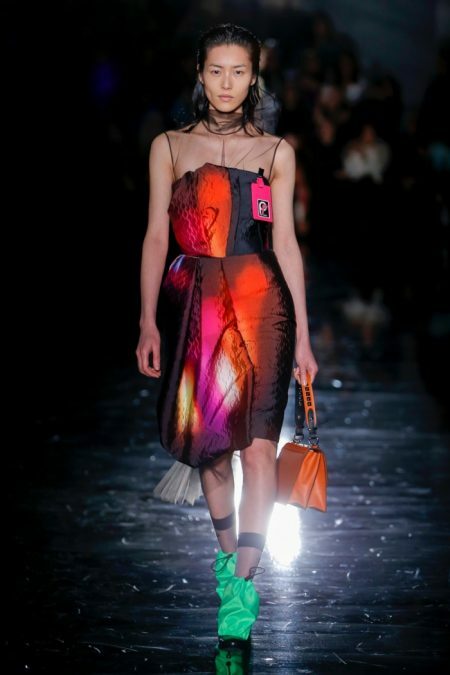 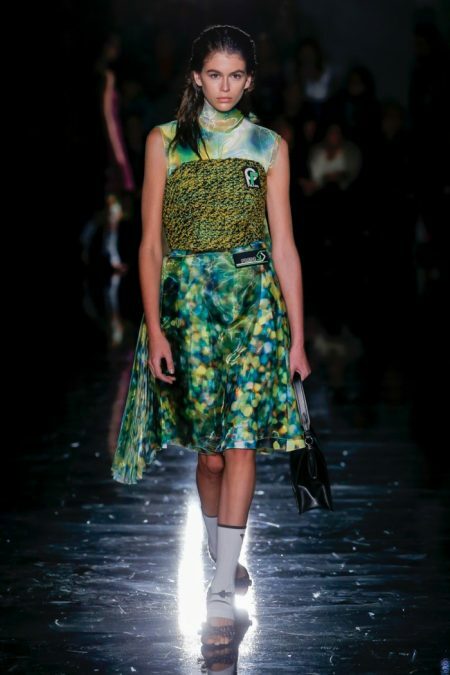 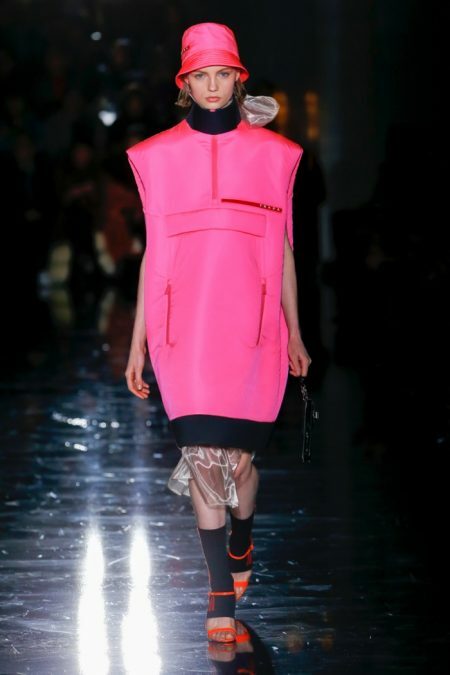 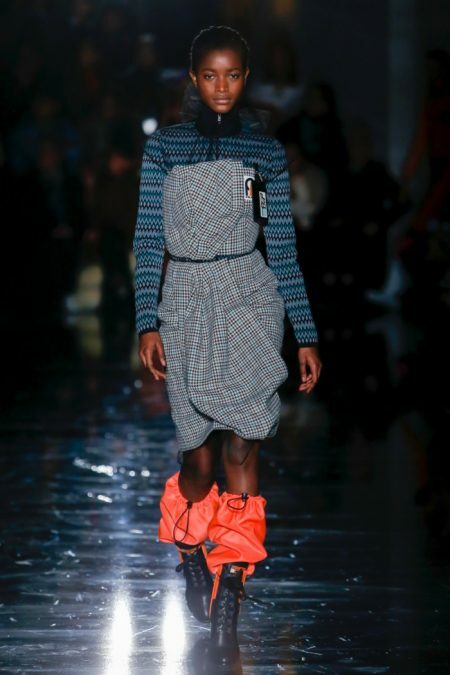 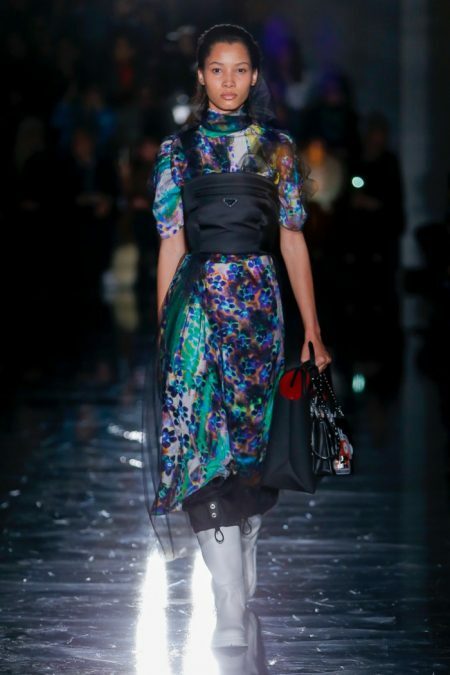 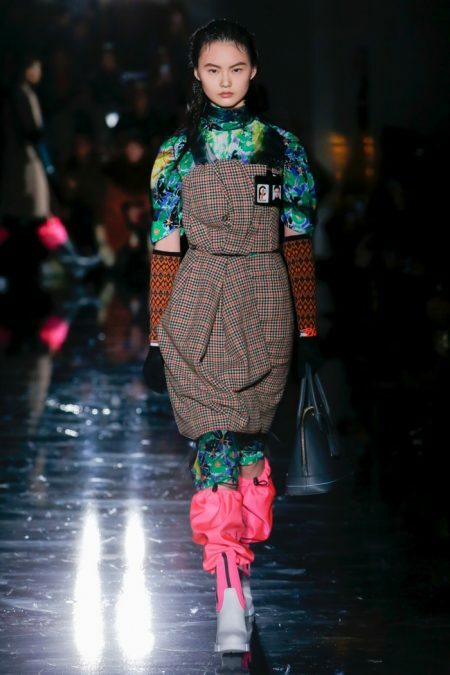 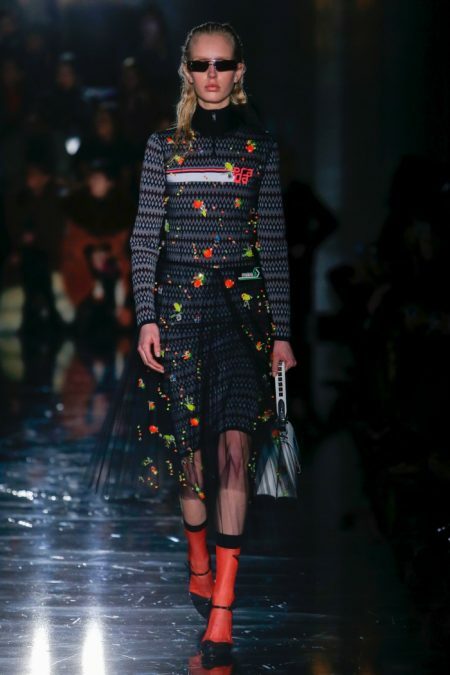 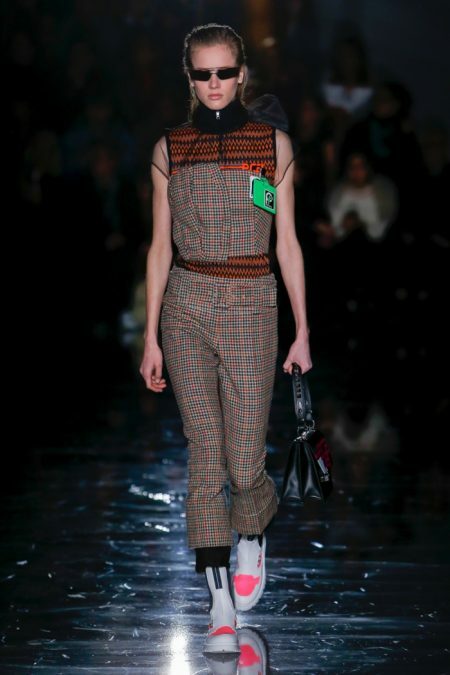 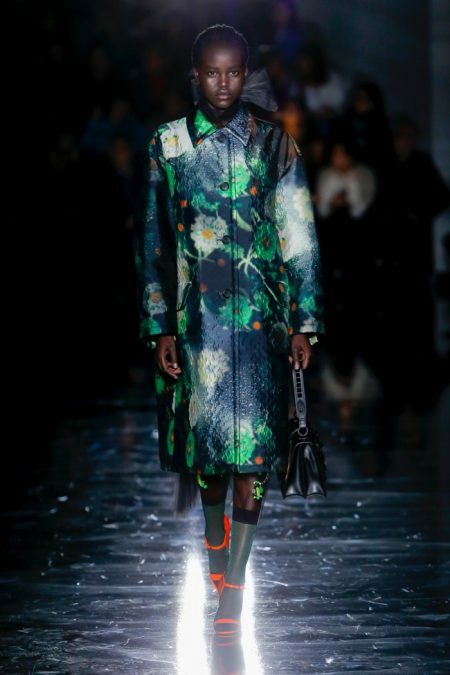 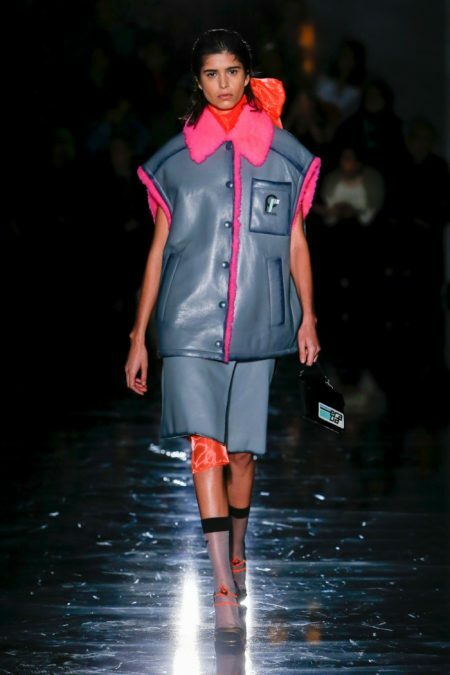 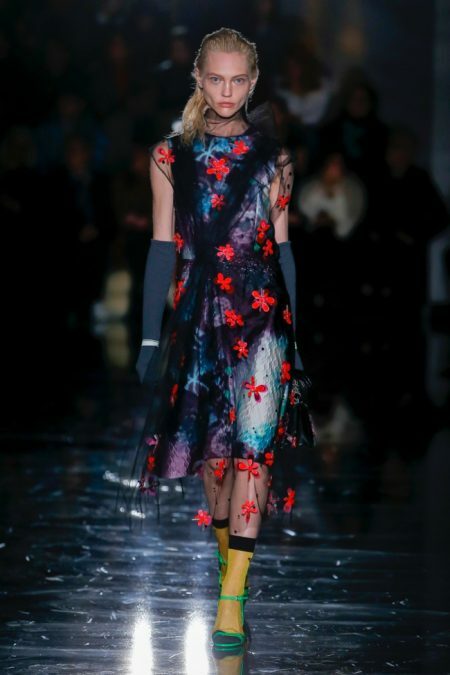 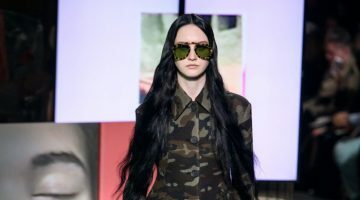 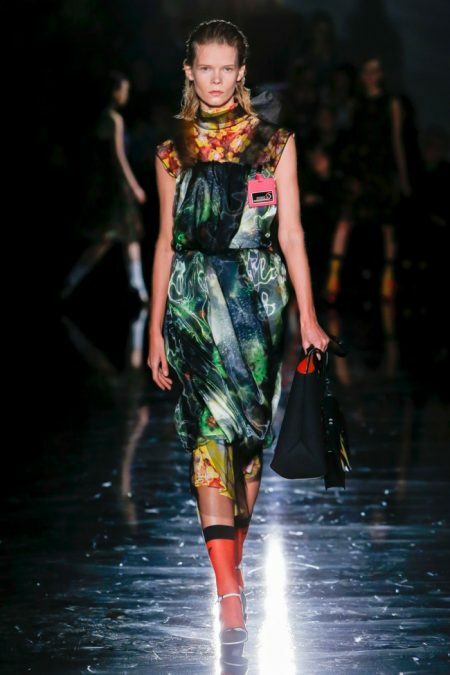 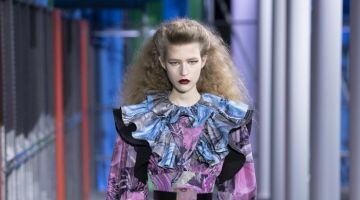 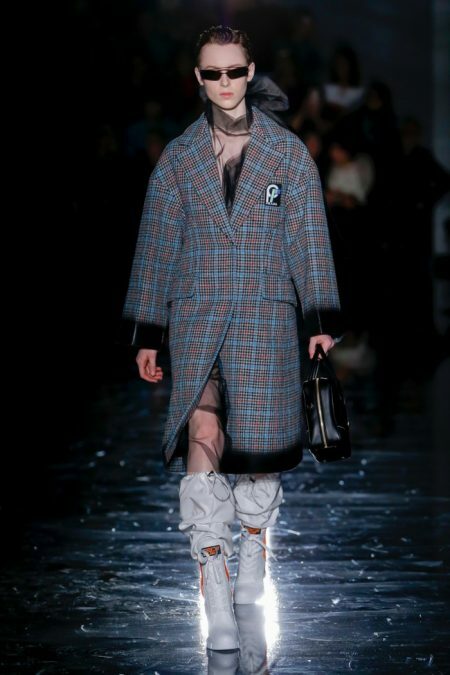 The cast included Prada favorites of past and present such as Kris Grikaite, Amber Valletta and Sasha Pivovarova.